Every year, on the 25th of February, all of Kuwait wears its most beautiful clothes and celebrates the National and Liberation Day. These celebrations demonstrate the love and belonging of the Kuwaiti people to their beloved country. 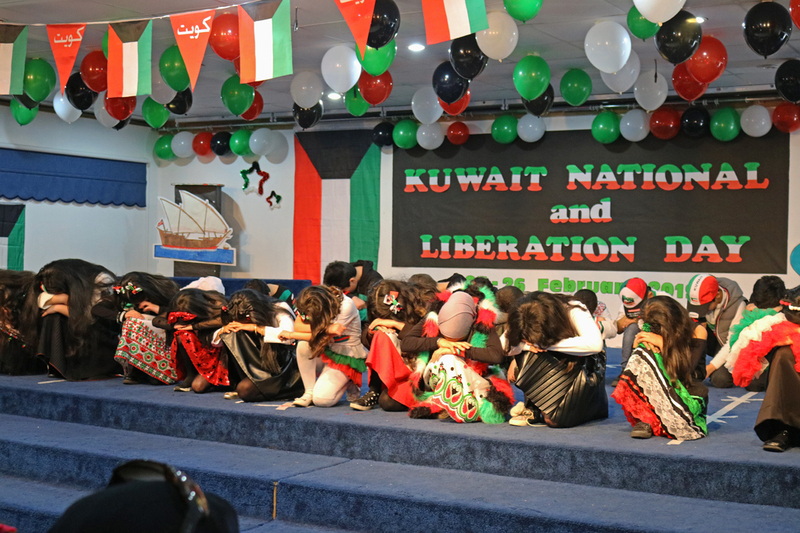 In our school, we celebrate this holiday in our way, where children enjoy the performances during the morning assembly and various activities throughout the school day to consolidate the love of Kuwait and their feeling of belonging.